Charles Robson, who became Chair in 1966, was renowned for codifying radical thoracoabdominal nephrectomy and staging for renal cell carcinoma. In his honor, his great friend Dr. Jim Glenn from Duke University gave the first “Robson” lecture in 1988. 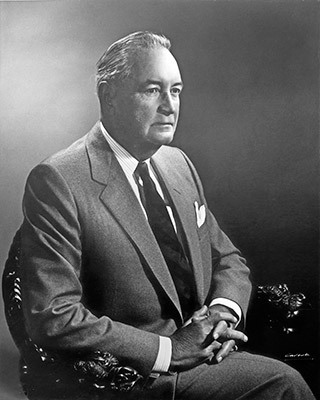 Dr. Glenn was the famous author of Glenn’s Urology and went on to become the President of Mt. Sinai Medical Center in Manhattan and the President of the SIU. In 1993, under the guidance of Dr. Michael Jewett and with the assistance of Dr. Keith Jarvi (as first Chair of the Research Program), the annual Robson Lecture was integrated into the annual research day, and thus the Robson Research Day was born. This new program would offer faculty and trainees a platform to showcase their work & accomplishments. The first invited speaker was Dr. Tim Hargreave from Scotland. Since that time, we have received several great champions in the field, including Dr. Ian Thompson, Dr. Bill Steers, Dr. Marsten Linehan, Dr. Darracott Vaughan, Dr. Pat Walsh.